A wonderful project to augment a lesson about the sea. Create these charming lighthouses and decorate with sand and shells. 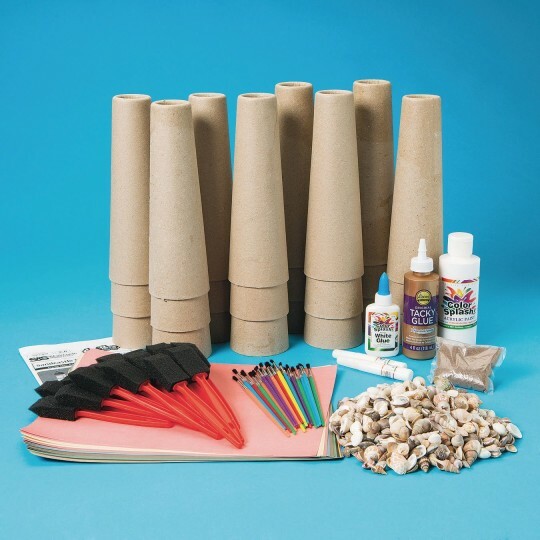 Pack includes non-toxic glue and paint, cardboard cones, terrarium sand, shells, brushes and instructions. 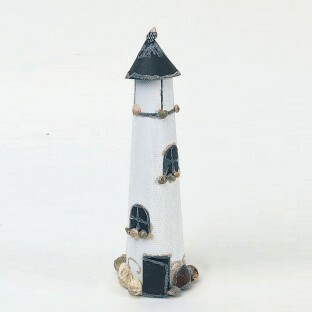 Our residents loved the lighthouses. Really enjoyed this product it was easy to do and the finished product was beautiful. LOVED loved loved these! It was a two-part project first painting then decorating. They came out beautiful and we had a great time making them. Good craft to encourage fine motor skills and creativity. Requires campers to be more creative and make it their own design. It would have saved prep time if there were better patterns.